Basket of Blooms Quilt Pattern by Missouri Star - Missouri Star Quilt Co. - Missouri Star Quilt Co.
One of the treasured memories of childhood was frolicking in fields of flowers and coming home with a fistful of blooms to put in a vase! 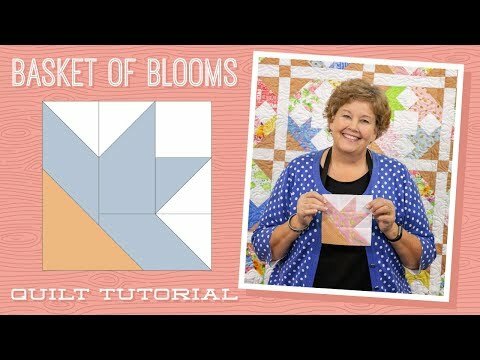 Cultivate a quilt that is filled to the brim with flower blossoms with this pattern. Fill your basket with a roll of 2.5" strips, 3 1/2 yards of background fabric, 1 1/4 yards of complementary fabric, and 2 1/4 yards for your border and binding, and you'll soon reap what you "sew"! Finished size: 71" x 85"